2 photographs of oil paintings of men, J.W. Robinson Corporation, Southern California, 1929. 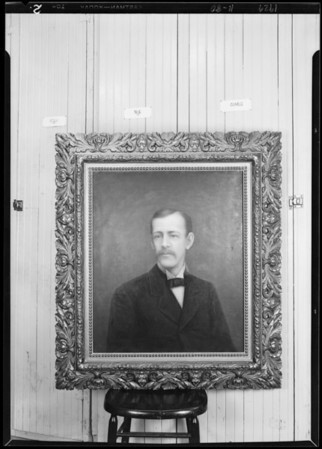 "Subject: copies of Oil paintings of J.W. Robinson & ?